Not complaining about my job in fact i love it as it requires alot of physical strength and walking, that is the reason why i need to refuel every 3 hours and with Kitkat in my pocket, i can have a small break and get back to work in a jiffy! I barely rest, as you guys know i am pretty much of a workaholic..from my student years to my working it hasn't gone down a single bit. Back then i used to rush to like 3-4 media events in day on weekends and events at night after my college classes, but honestly it really wears me out to the point where i constantly fall sick and lost alot of weight due to my busy lifestyle. Imagine being in my shoes 2 years ago (2011), being a full time student, working full time at night, picked up blogging, modelling, work freelance events and cosplay. There are many more but i won't bore you guys with it lol. Yep, imma workaholic and it isn't good because i don't know how to enjoy life like have a quiet lunch, holiday or even relax at home. Sounds like you too? Come home from classes or work and you start rushing your costumes for upcoming events/ photoshoots while usually weekends normal people take the opportunity to rest but we cosplayers take those days to do our shoots lol. Who here agrees with me on that? By the time we get home daily, through traffic jam and whatnots it's already pretty late. I haven't been able to do my workouts lately because of this tiring lifestyle but it's life so we can't complaint but i do wish we can get a #BiggerBreak to enjoy life instead of being a workaholic. I want more time to exercise so i can get my dream abs and body!!! My only motivation is hoping one day i could be as muscular and fit like this lady, seriously how do you guys even find the time to head to the gym when you are working an 8 hours job daily? I know time management is the key but not everyone is able to slot in an hour or two workout everyday just to achieve bodies like Victoria Secret models. 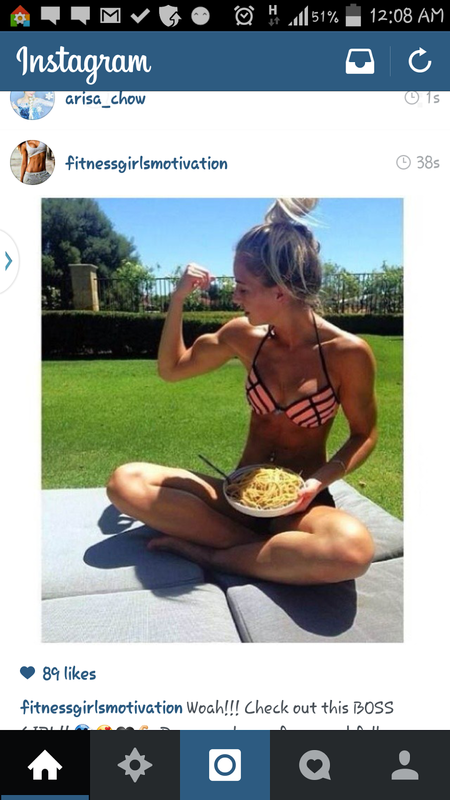 Unless you are paid to look super fit la like trainers and models lololol. Oh and meanwhile since i got you guys thinking about yummy chocolate coated finger wafer (kitkat ftw!!) you can easily score yourselves extra cash of RM100 by joining KitKat's #BiggerBreak Daily Quiz on twitter. Follow them on facebook, twitter and instagram with the hashtag: #BIGGERBREAK for great prizes. My fav is the dark chocolate ones and all the fancy flavours that is available in Japan >w< How about you?